14 CDs: The first seven Blur studio albums with bonus material discs. 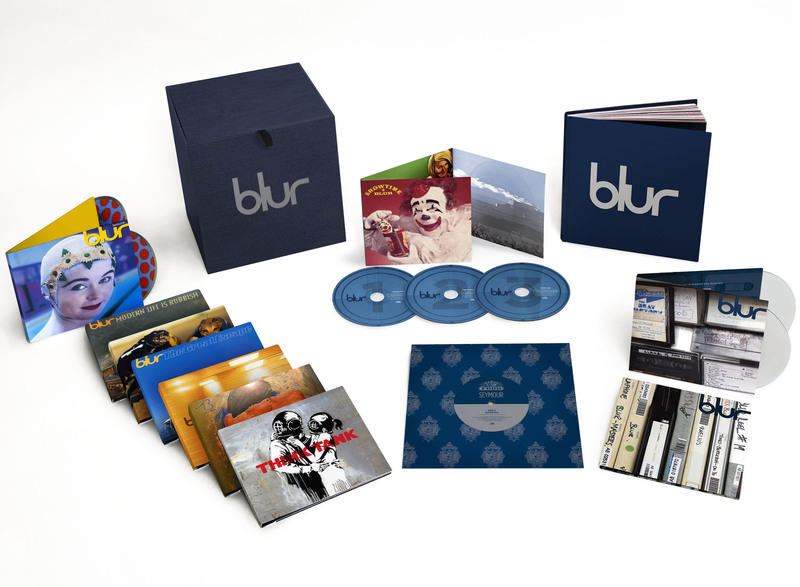 Remastered from Leisure to Blur era. 4 CDs of rarities including 60 unreleased tracks. 3 DVDs of live performances and promo videos. 7" single of the unreleased Seymour song. 100-page hardcover book detailing the career of the band. The albums were also sold separately as "Special Editions" on Double CD and Download. Double CD comes with four postcards and digital bonus content. 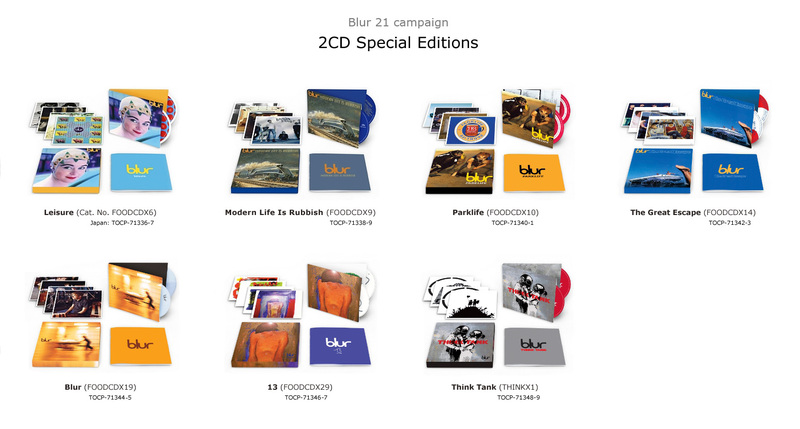 50 signed boxes were circulated from Blur Store. Credits inside the box set. changes to the bridge of the song.